I have spent many a Carolo-lambian Hour grieving over his life's unfair twists and turns and wishing that posterity could vindicate Elia's efforts to straighten them out. 'Damn the Age!' Lamb once said. 'I will write for antiquity.' Antiquity is not cooperating. 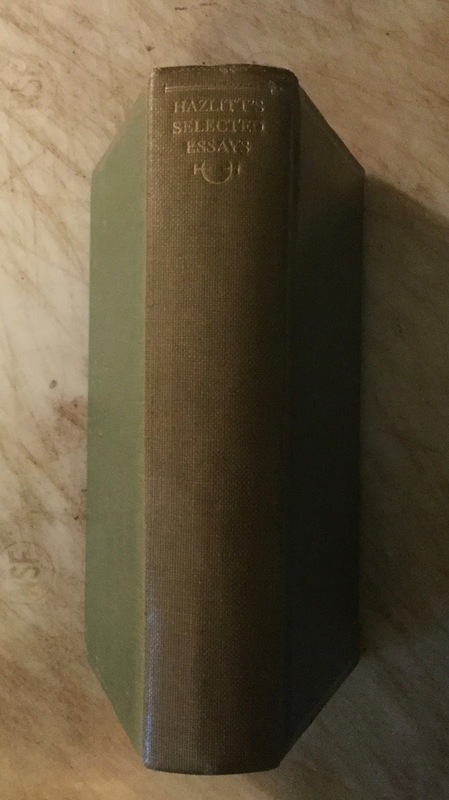 My dog-eared 1933 anthology (the dog-eared part is fine; Lamb preferred well-thumbed volumes), called Everybody's Lamb, has become Hardly Anybody's Lamb. If I could make him Everybody's again, in my own whiffling century, I would forswear my spectacles, play at put, mend pens, kill fleas, or shell peas (41, 42). 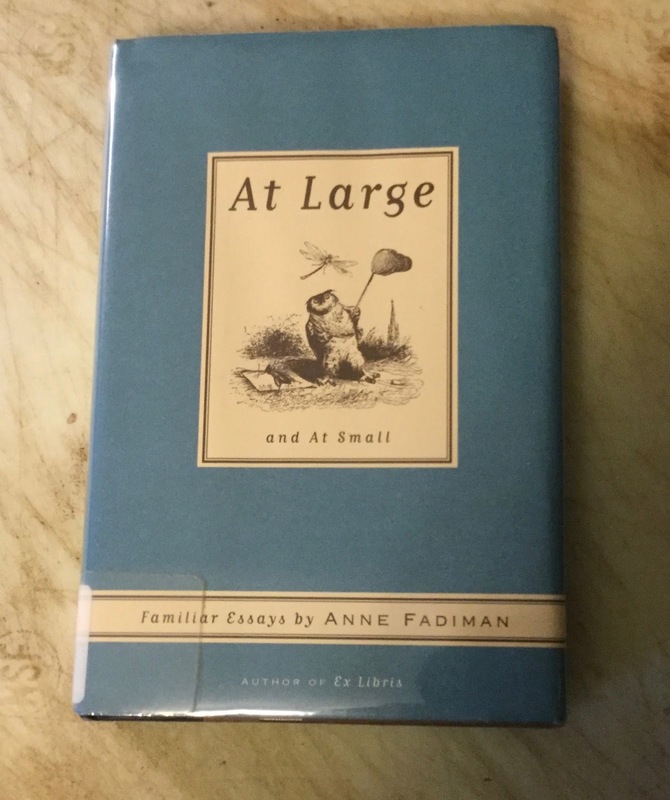 Anne Fadiman's essay, "The Unfuzzy Lamb" is one of the best essays about Lamb that I have read. And a passage from that essay rightly takes its place as the leader of all these passages about Lamb. Lamb was popular right up to the turn of this century. 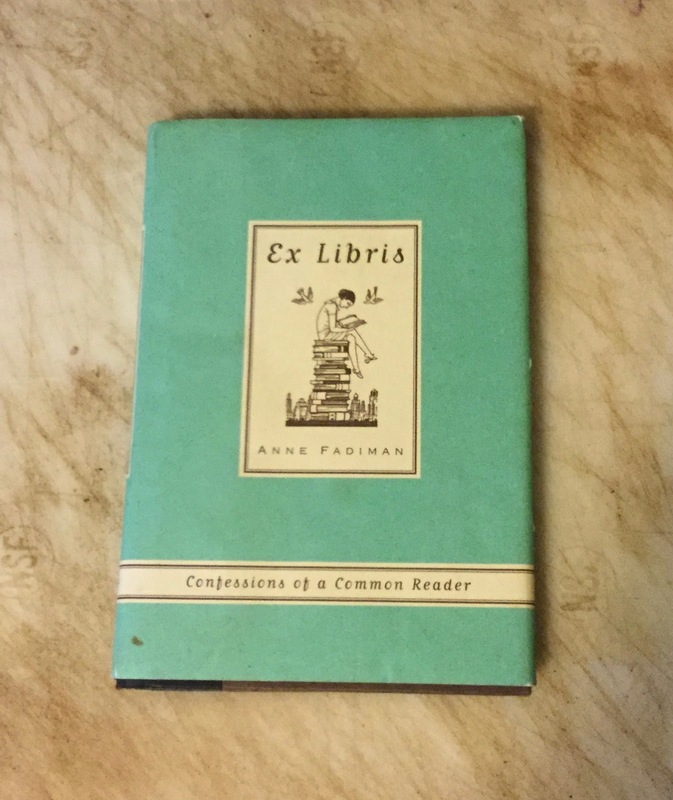 And maybe we can help make him become popular again, because I would love to see Anne Fadiman forswear her spectacles, play at put, mend pens, kill fleas, or shell peas! 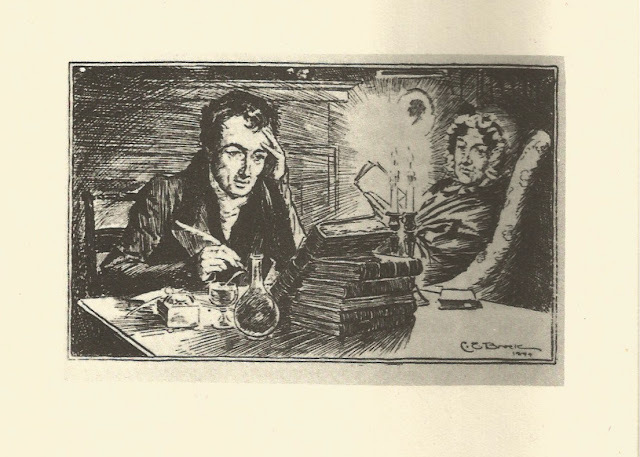 Among his schoolfellows, Charles formed special friendships with a few select spirits; and in Coleridge–'the inspired charity-boy,' who entered the school at the same time, though three years older–he found a life-long companion. He looked up to the elder lad–dreamy, dejected, lonely–with an affection and a reverence which never failed all through life, though in after years subject to the strain of Coleridge's alienation, absence, and silence. 'Bless you, old sophist,' he wrote once to Coleridge, 'who, next to human nature taught me all the corruption I was capable of knowing (19, 20)." Justice I must do my friend, that if he sometimes, like the sea, sweeps away a treasure, at another time, sea-like, he throws up as rich an equivalent to match it. I have a small under-collection of this nature (my friend's gatherings in his various calls), picked up, he has forgotten at what odd places, and deposited with as little memory as mine. I take in these orphans, the twice-deserted. These proselytes of the gate are welcome as the true Hebrews. There they stand in conjunction; natives and naturalized. The talk grew faster and louder. discussions were begun and carried on with quips and personalities that brought shouts of delighted laughter. 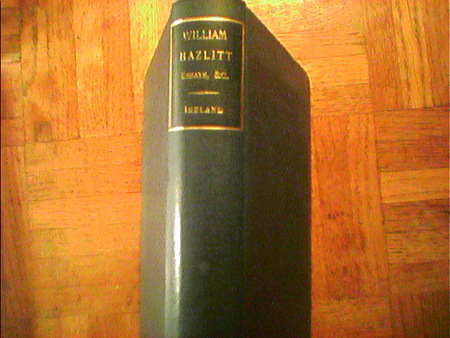 Hazlitt, for at least the twentieth time, tried to convince Charles Lamb that Fielding was a better writer than Smollett; and Lamb carrying on the argument vigorously, yet contrived to have something to say in all the conversations that were going on around him, to stammer out his puns, and shout his friendly provocative insults. Leigh Hunt's dark handsome face was full of fire as he discussed the doctrines of Rousseau with serious Charles Lloyd. Godwin expounded his revolutionary philosophy in a mild, pleasant voice, quoting from Locke and Berkeley and Hume. 'He is quite a tame creature,' Lamb assured Manning, 'a middle-sized man both in stature and understanding; whereas from his noisy fame you would expect to find a Briareus Centimanus, or a Tityus tall enough to pull Jupiter from his heavens (245)." Granted then, that the light-hearted letter, and the letter which gives us material with which to fill up the gaps and crannies of history, which holds the life of the past embalmed in its faded pages, have disappeared,, perhaps forever. There is another letter which has not disappeared, which never can disappear as long as man stays man and woman, woman, – the letter which reveals to us the personality of the writer; which is dear and valuable to us because in it his hand stretches out frankly from the past, and draws us to his side. It may be long or short, carefully or carelessly written, full of useful information or full of idle nonsense. We do not stop to ask. It is enough for us to know from whom it came. 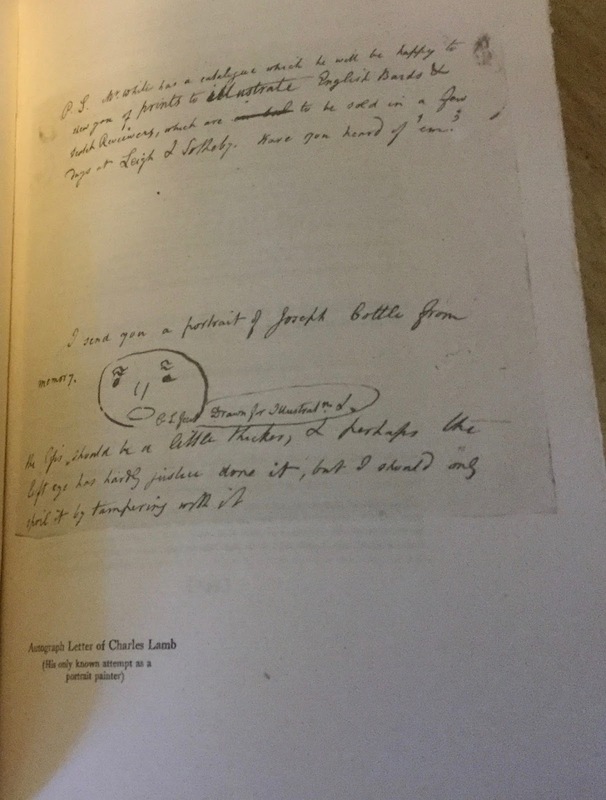 And the finest of such a letter may surely be found in the well-loved correspondence of Charles Lamb. If we eliminated from his pages all critical matter, all those shrewd and admirable verdicts upon prose and verse; if we cut out ruthlessly such scraps of news as they occasionally convey; if we banished all references to celebrated people, from the 'obnoxious squeak' of Shelley's voice to the generous sympathy expressed for Napoleon, we should still have left–the writer himself, which is all that we desire. We should still have the record of that harmless and patient, that brave and sorely tried life. We should still see infinite mirth and infinite pathos interwoven upon every page. We should catch the echo of that clear, kind laughter which never hardens into scorn. Lamb laughs at so many people, and never once wrongs any one. We should see the flashes of a wit which carries no venom in its sting. We should feel that atmosphere of wonderful, whimsical humor illuminating all the trivial details of existence. 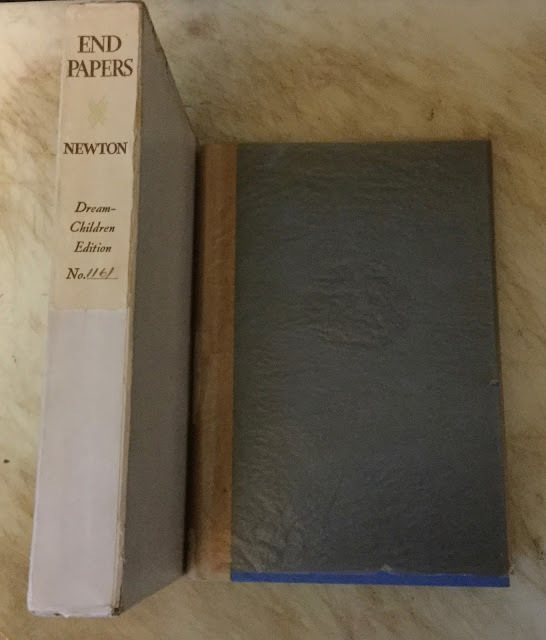 We should recognize in the turning of every sentence, the conscious choice of every word, the fine and distinctive qualities of a genius that has no parallel (199, 200). I have nine of Agnes Repplier's books of essays. And she mentions Charles Lamb several times in all but one of them. The passage I chose, the longest and the best, says volumes about her fondness of Charles Lamb. The 'trying-to-look-pleasant' expression is peculiarly noticeable in the life masks of Wordsworth and Keats; although the former did not altogether succeed, which was not the fault, by the way, of Charles Lamb. Haydon describes the operation in his Journal under the date 1815 and says: 'Wordsworth sat in my dressing-gown with his hands folded, sedate, solemn, and still, bearing it like a philosopher.' But elsewhere we read that the poet was placed flat on his back on the studio floor, while Lamb capered about him in glee at the undignified absurdity of the proceedings, trying to make the subject grin at his fantastic criticisms and remarks (176). 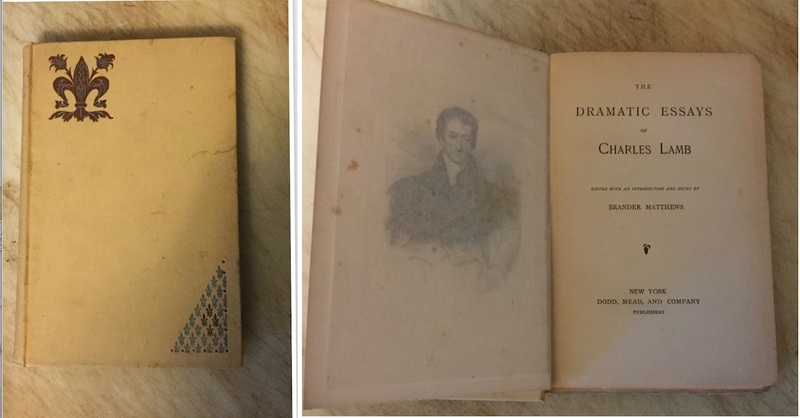 Harry B. Smith had over 50 items by and about Charles Lamb in his Sentimental Library, including the autograph manuscript of "Dream Children; A Reverie." 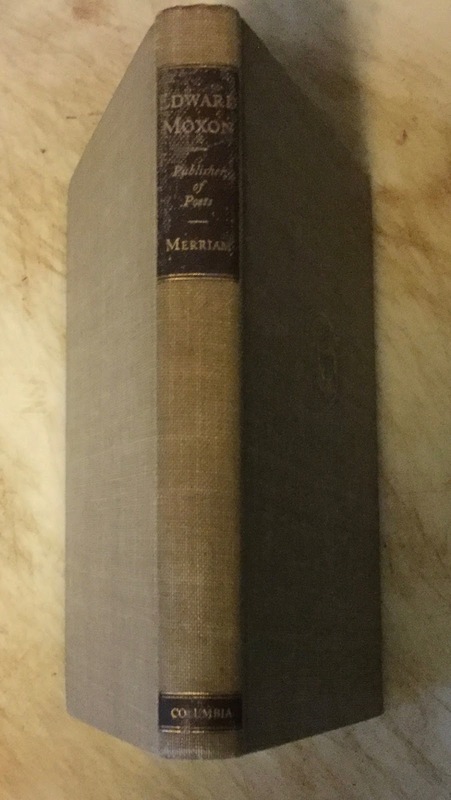 I tracked the ownership of that manuscript and posted on my Biblio Researching blog. I'll post a link to it near the end of this post. There is before me as I write a well-thumbed and badly shaken little volume, The Essays of Elia and Eliana, which I have owned for more than half a century and which I always turn to when I want to verify a quotation. Truth compels me to say that the original manuscript of Lamb's exquisite essay, 'Dream-Children,' is a more valuable possession, but it was in this little volume, published by Moxon, that I first learned to know and love the author 'who wrote for antiquity,' he said, and who, as Mr. E. V. Lucas remarked, 'has become more and more a writer treasured by posterity (4, 5)." Lamb says that Bridget Elia 'was tumbled early, by accident or design, into a spacious library of good old English reading, without much selection or prohibition, and browsed at will upon that fair and wholesome pasturage.' And he adds, 'Had I twenty girls they should be brought up exactly in this fashion (34)." Mr. Lamb has succeeded, not by conforming to the Spirit of the Age, but in opposition to it. He does not march boldly along with the crowd, but steals off the pavement to pick his way in the contrary direction. He prefers bye-ways to highways. When the full tide of human life pours along to some festive show, to some pageant of a day, Elia would stand on one side to look over an old book-stall, or stroll down some deserted pathway in search of a pensive description over a tottering doorway, or some quaint device in architecture, illustrative of embryo art and ancient manners. Mr. Lamb has the very soul of an antiquarian, as this implies a reflecting humanity; the film of the past hovers forever before him. He is shy, sensitive, the reverse of everything coarse, vulgar, obtrusive, and common-place. He would fain 'shuffle off this mortal coil': and his spirit clothes itself in the garb of elder time, homelier, but more durable. He is borne along with no pompous paradoxes, shines in no glittering tinsel of a fashionable phraseology, is neither fop or sophist. He has none of the turbulence or froth of new-fangled opinions. His style runs pure and clear, though it may often take an underground course, or be conveyed though old-fashioned conduit-pipes. 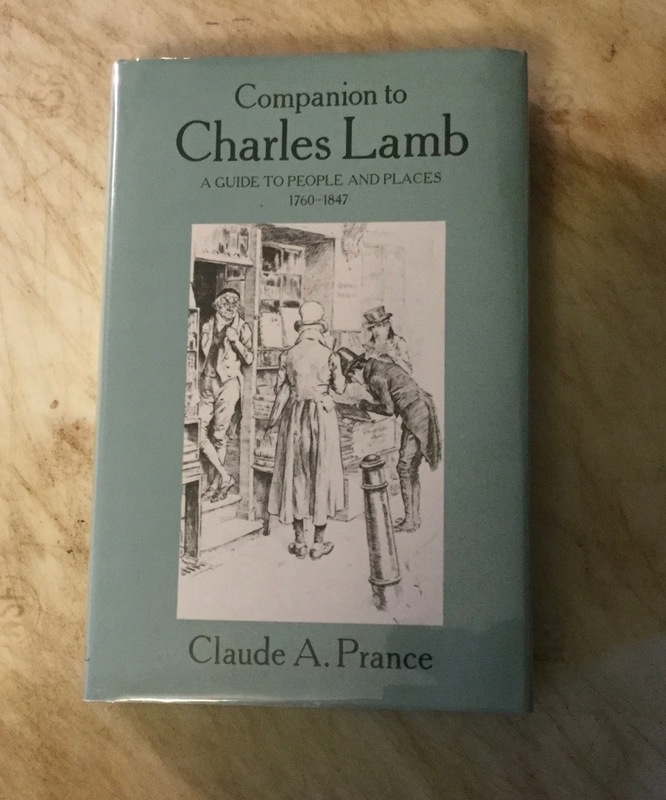 Mr. Lamb does not court popularity, nor strut in gaudy plumes, but shrinks from every kind of ostentatious and obvious pretension into the retirement of his own mind (769). Mr. Lamb's taste in books is also fine; and it is peculiar. It is not the worse for a little idiosyncrasy. He does not go deep into the Scotch Novels; but he is at home in Smollett or Fielding. He is little read in Junius or Gibbon; but no man can give a better account of Burton's 'Anatomy of Melancholy,' or Sir Thomas Browne's 'Urn-Burial,' or Fuller's 'Worthies,' or John Bunyan's 'Holy War.' No one is more unimpressible to a specious declamation ; no one relishes a recondite beauty more. His admiration of Shakespeare and Milton does not make him despise Pope; and he can read Parnell with patience and Gay with delight. His taste in French and German literature is somewhat defective; nor has he made much progress in the science of Political Economy or other obtruse studies, though he has read vast folios of controversial divinity, merely for the sake of the intricacy of style, and to save himself the pain of thinking (473). 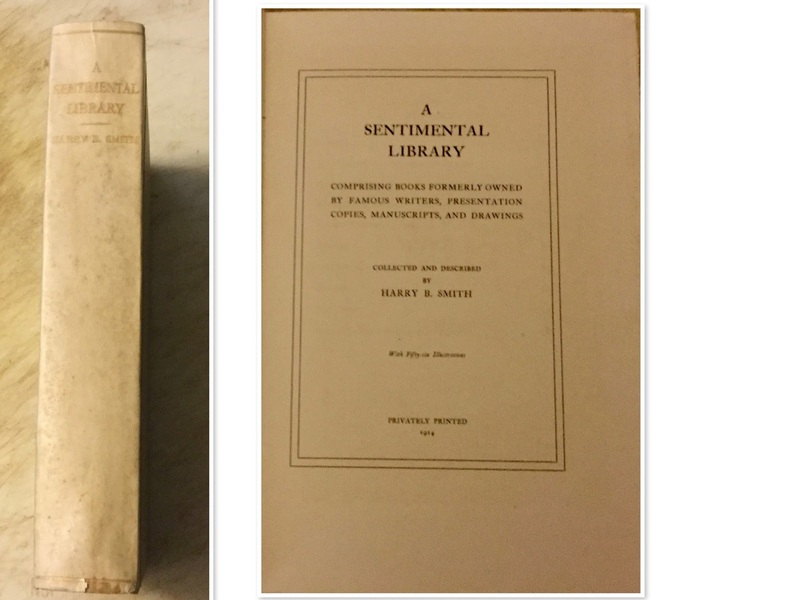 Lamb's library consisted for the most part of tattered volumes in a dreadful state of repair. Lamb, like Young, the poet, dog-eared his books to such an extent that many of them would hardly close at all. From the correspondence of Bernard Barton we gert a glimpse at Lamb's cottage in Colebrook Row, Islington–a white house with six good rooms. 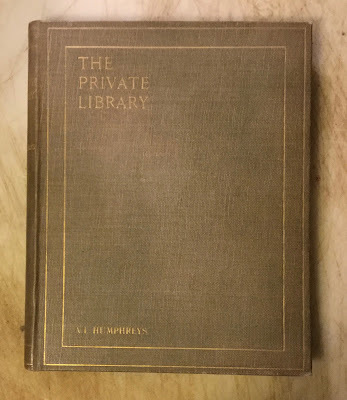 'You enter without passage into a cheerful dining room, all studded over and rough with old books.' Barton also writes: 'What chiefly attracted me was a large old book-case full of books. 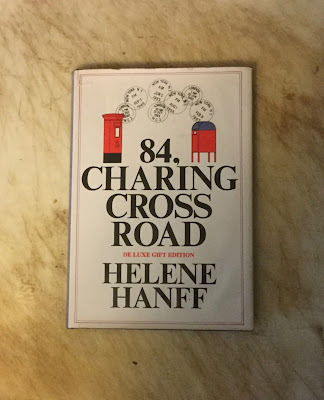 I could but think how many long walks must have been taken to bring them home, for there were but few that did not bear the mark of having been bough at many a bookstall–brown, dark-looking books, distinguished by those white tickets which told how much their owner had given for each (76, 77)." I believe, however, I run no great risk in asserting that, of all English authors, Charles Lamb is the one loved most warmly and emotionally by his admirers, amongst whom I reckon only those who are as familiar with the four volumes of his 'Life and Letters' as with 'Elia' (102, 103)." Lamb's popularity shows no sign of waning. 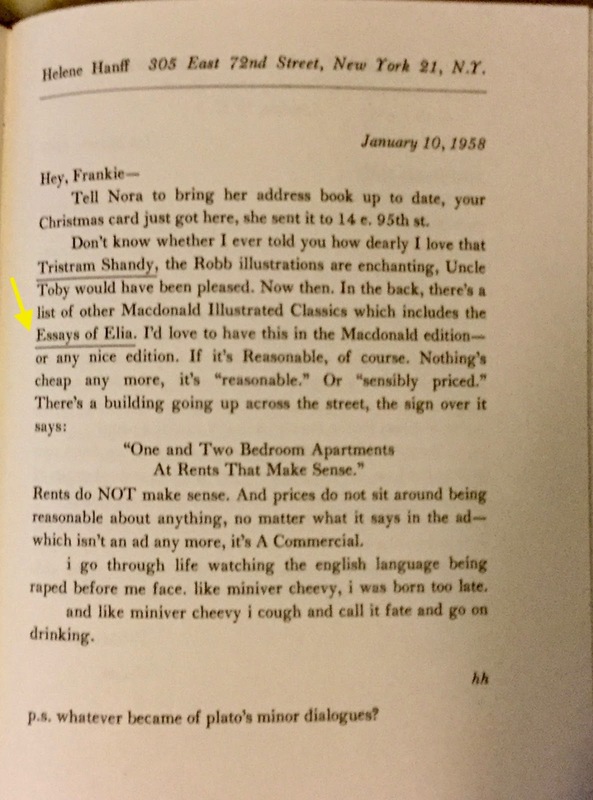 Even that most extraordinary compound, the rising generation of readers, whose taste in literature is as erratic as it is pronounced; who have never heard of James Thomson who sang The Seasons (including the pleasant episode of Musidora bathing), but understand by any reference to that name only the striking author of The City of Dreadful Night ; even these wayward folk – the dogs whose criticism, not yet full grown, will, when let loose, as some day they must be, cry 'havoc' amongst established reputations – read their Lamb, letters as well as essays, with laughter and with love (226,227). 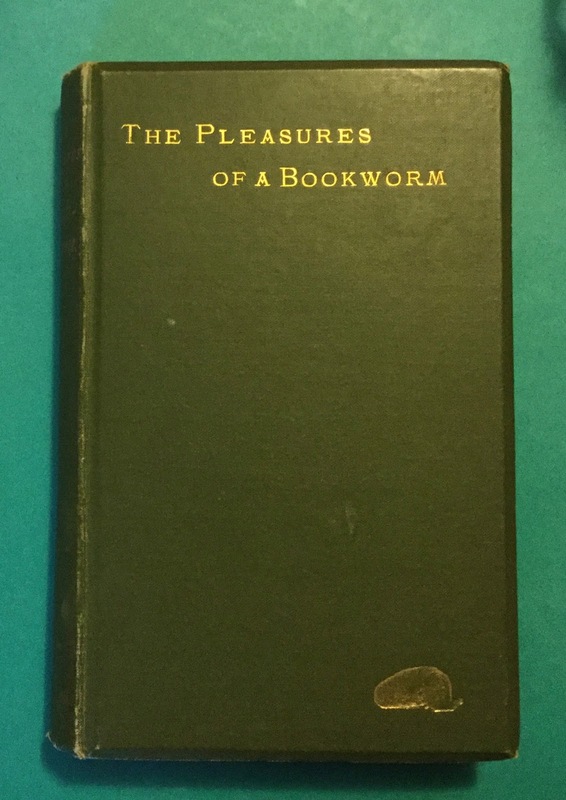 The booklover who treasures his volumes as things of beauty and handles them with loving care, will recoil with horror at Mary Lamb's account, in her letter to Barbara Betham in 1814, of the whoesale cutting out of plates from their books to decorate their walls of the newly discovered garret at Inner Temple Lane. 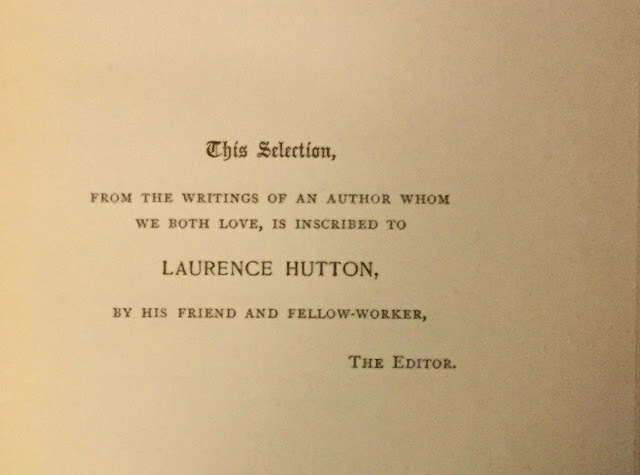 Nevertheless, in spite of his disregard of the condition of his books, he was of almost all English writers, except perhaps Leigh Hunt, the most bookish (200). Charles Lamb is as original as either of these [i.e., Wordsworth and Coleridge], within the smaller circle he has chosen. We know not of any writer, living or dead, to whom we can fitly liken him. The exceeding delicacy of his fancy, the keenness of his perceptions of truth and beauty, the sweetness and the wisdom of his humour, and the fine interchange and sportive combination of all these, so frequent in his works, are entirely and peculiarly his own. As it has been said of Swift, that his better genius was his spleen, it may be asserted of Lamb, that his kindness is his inspiration. with how nice an eye does he detect the least hitherto unnoticed indication of goodness, and with how true and gentle a touch does he bring it out to do good to our natures! How new and strange do some of his fantastical ebullitions seem, yet how invariable do they come home to the very core, and smile at the heart! He makes the majesties if imagination seem familiar, and gives to familiar things a pathetic beauty or a venerable air. Instead of finding that every thing in his writings is made the most of, we always feel that the tide of sentiment and of thought is pent in, and that the air and variegated bubbles spring up from a far depth in the placid waters. The loveliness of his thought looks, in the quaintness of his style, like a modest beauty, laced-in and attired in a dress of the superb fashion of the elder time. His versification is not greatly inferior to that of Coleridge, and it is, in all its best qualities, unlike that of any other poet. 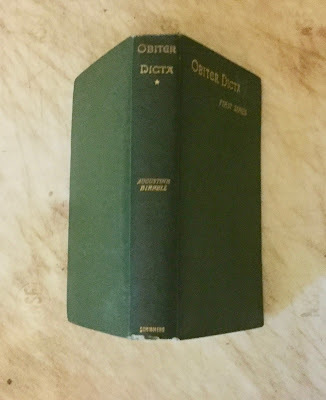 His heroic couplets are alternately sweet, terse, and majestical; and his octo-syllabic measures have a freshness and completeness, which mark them the pure Ionic of verse (99). Claude A. Prance notes that the above passage was printed as a supplement to the C.L.S. Bulletin, No. 18 (February 1937). 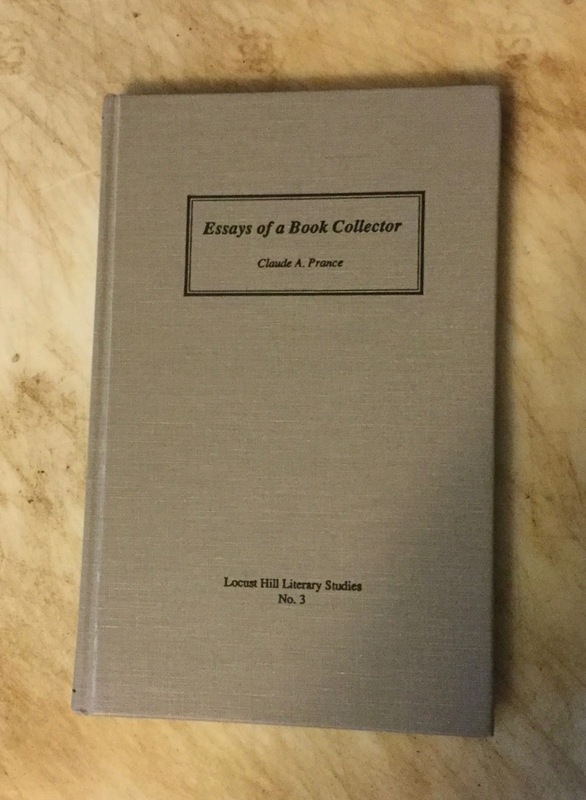 Prance has three essays about Lamb in his book, Essays of a Book Collector, including one on Lamb's Golden Year 1821. Americans take a peculiar delight in the humour of Charles Lamb, for he is one of the foremost American humourists. 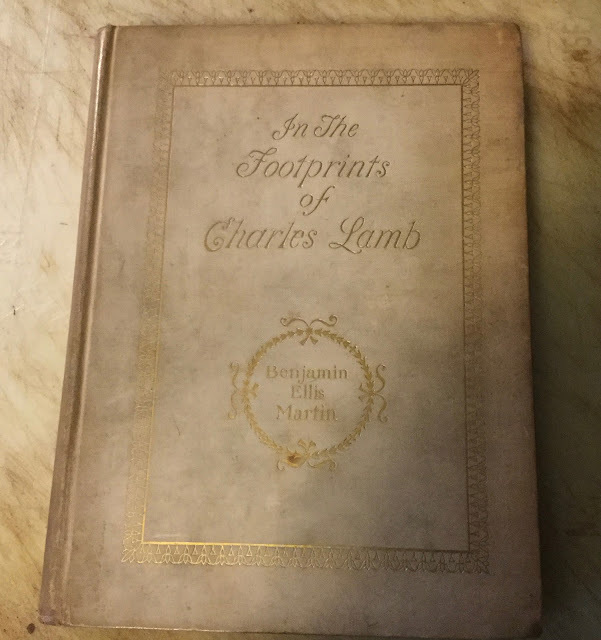 On the roll which is headed by Benjamin Franklin, and on which the latest signatures were made by Mark Twain and Mr. Bret Harte, no name shines more brightly than Lamb's. By the captious it may be objected that he was not an American at all; but surely this should not be remembered to his discredit, – it was a mere accident of birth. Elia could have taken out his naturalization papers at any time(7). There is, in Lamb's familiar letters and in many of his essays, so much that is autobiographical, and his friends have so often and so fondly described him and his sister in their home life, that no attempt will be made here to tell Lamb's story except as he has told it himself, or as it has been told by those who knew and loved him well (182). In its form the periodical essay had changed little since it was first made popular by Addison and Steele. It remained, primarily, a vehicle for the expression of a personality, and it continued to seek the interests of its readers by creating or suggesting an individuality strong enough to carry off any desultory adventure by the mere force of its own attractiveness. Yet there is all the difference in the world between Hazlitt and Addison, or Lamb and Steele. 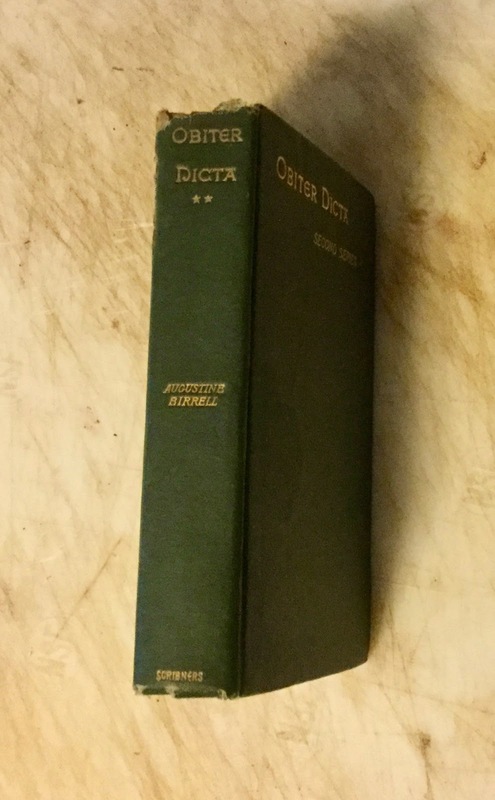 The Tatler and the Spectator leave you with a sense of artifice; Hazlitt and Lamb leave you with a grip of a real personality–in the one case very vigorous and combative, in the other set about with a rare plaintiveness and gentleness, but in both absolutely sincere. 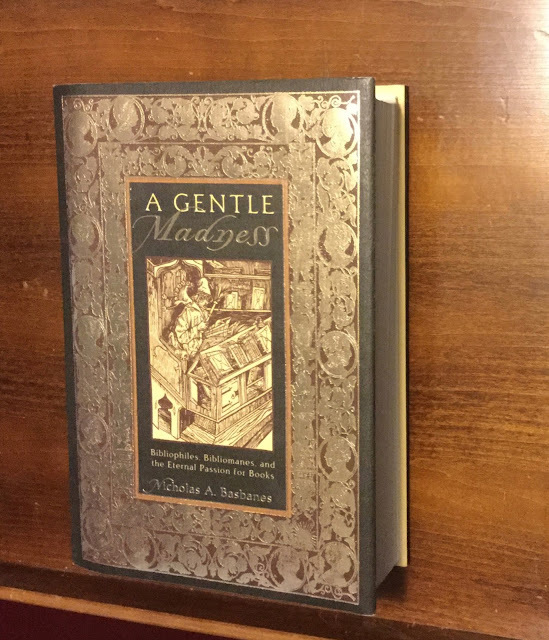 Addison is gay and witty and delightful but he only plays at being human; Lamb's essays–the translation into print of a heap of idiosyncrasies and oddities, and likes and dislikes, and strange humours–come straight from a human soul (186, 187). As the result of a fall, Charles Lamb died on December 27, 1834, 'murmuring the names of Moxon, Procter, and some other old friends' who apparently were to be invited to partake with him of a turkey recently sent him. Mary Lamb immediately became ill and remained so for a long period. 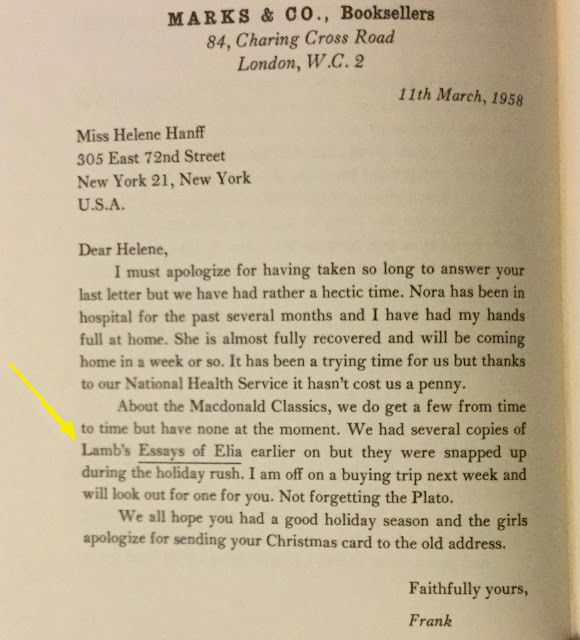 Talfourd and Ryle, Lamb's friend of clerking days, were the executors of his estate, all of which was left in trust for her sister during her lifetime, Uopon her death the estate would go to Emma Isola Moxon. Few friends attended the funeral. –only Moxon, Talfouord, Ryle, Hood, Alsop, and friends at the India House. Articles upon his character were published by Proctor in the Athenaeum, by Froster in the New Monthly, by Patmore in the Court Magazine, by Moxon in Leigh Hunt's London Journal. There were many anonymous notices (65). If some of these passages have aroused your curiosity about Charles Lamb's library, take a look see: I helped catalogue it on Library Thing in 2008 and 2009: Charles Lamb's Library. 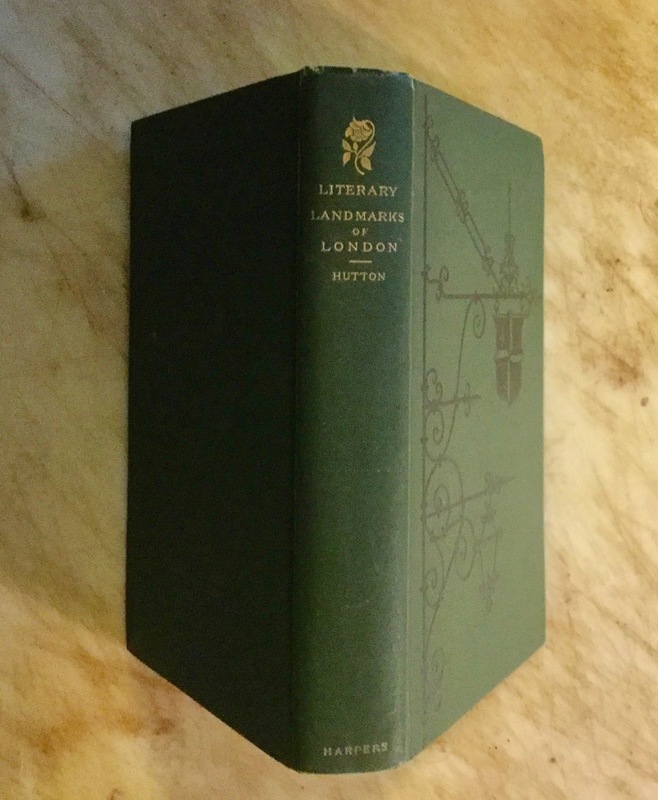 I recommend Adrian Barlow's blog post, In London, With Charles Lamb. And there's a link to the Charles Lamb Society on the second line of his post. How beautiful to a genuine lover of reading are the sullied leaves, and worn-out appearance ... of an old 'Circulating Library' Tom Jones or Vicar of Wakefield!' wrote Charles Lamb. 'How they speak of the thousand thumbs that have turned over their pages with delight! Who would have them a whit less soiled? What better condition could we desire to see them in?' Absolutely none. Thus, a landscape artist I know savors the very smell of the dirt embedded in his botany texts; it is the alluvium of his life's work. 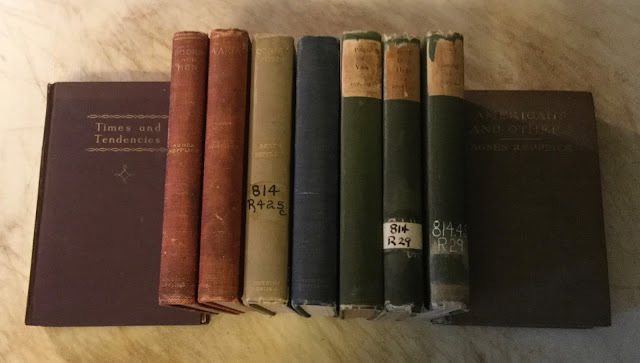 Thus, my friend the science writer considers her Mammals of the World to have been enhanced by the excremental splotches left by Bertrand Russell, an orphaned band-tailed pigeon who perched on it when he was learning to fly. And thus, even though I own a clear plastic cookbook holder, I never use it. 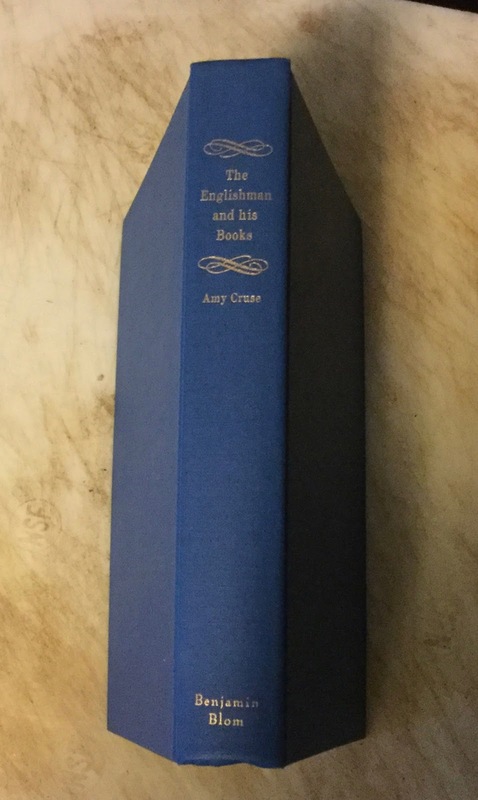 What a pleasure it will be, thirty years hence, to open The Joy of Cooking to page 581 and behold part of the actual egg yolk that my daughter glopped into the very first bath of blueberry muffins at age twenty-two months (42)!